Tienda de Sandalias de piel con contrafuerte y velcro en piel metalizada apra niñas. 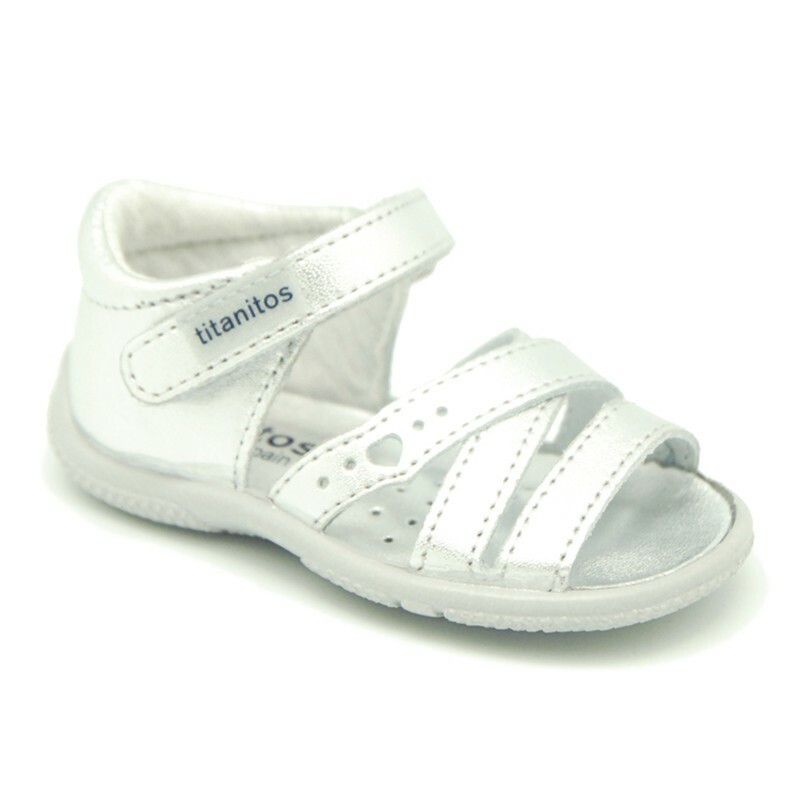 > First Steps>Sandals>Metal finish leather sandals for little girls with velcro strap and EXTRA FLEXIBLE outsole. Metal finish leather sandals for little girls with velcro strap and EXTRA FLEXIBLE outsole. More info about Metal finish leather sandals for little girls with velcro strap and EXTRA FLEXIBLE outsole. Metal finish leather sandal shoes for little girls with velcro strap closure and EXTRA FLEXIBLE outsole. With velcro strap closure for a perfect grip to any feet. Sandal shoes for day a day basis . Perfect for this summer and mix and match with all their garments. Made up of 100% high quality natural leather with metal finish. Very soft and lightness. Metal leather colors mix and match with all their garments this summer. 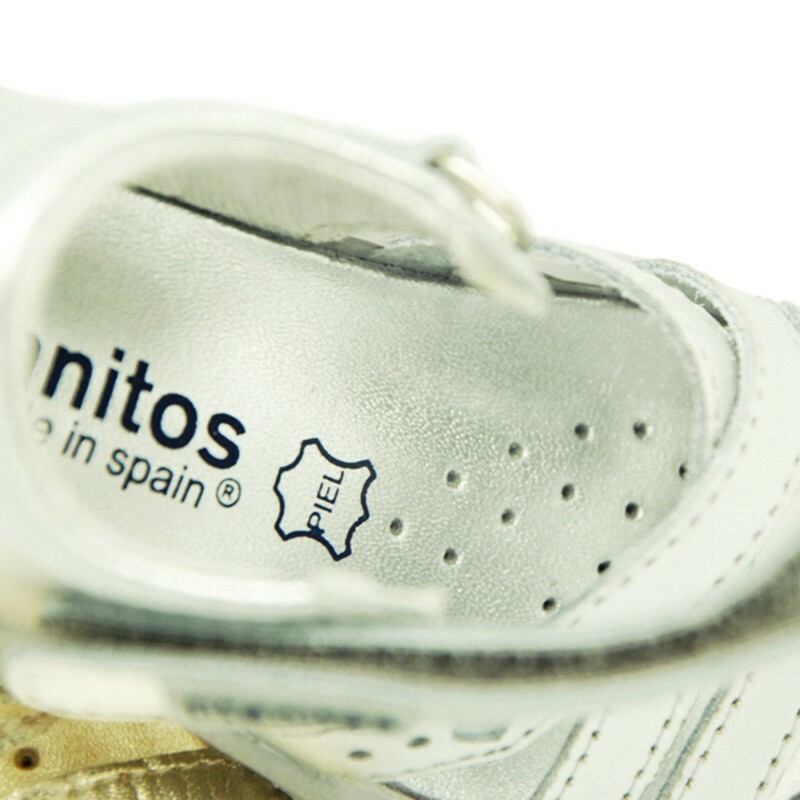 Fully lined in leather and cotton canvas and with leather anatomic footbed, which facilites the natural growing of their feet, and perforated for a good perspiration. EXTRA FLEXIBLE and non slip outsole made up in high quality rubber matching color, in order they can learn to walk without any problem. Data sheet about Metal finish leather sandals for little girls with velcro strap and EXTRA FLEXIBLE outsole.